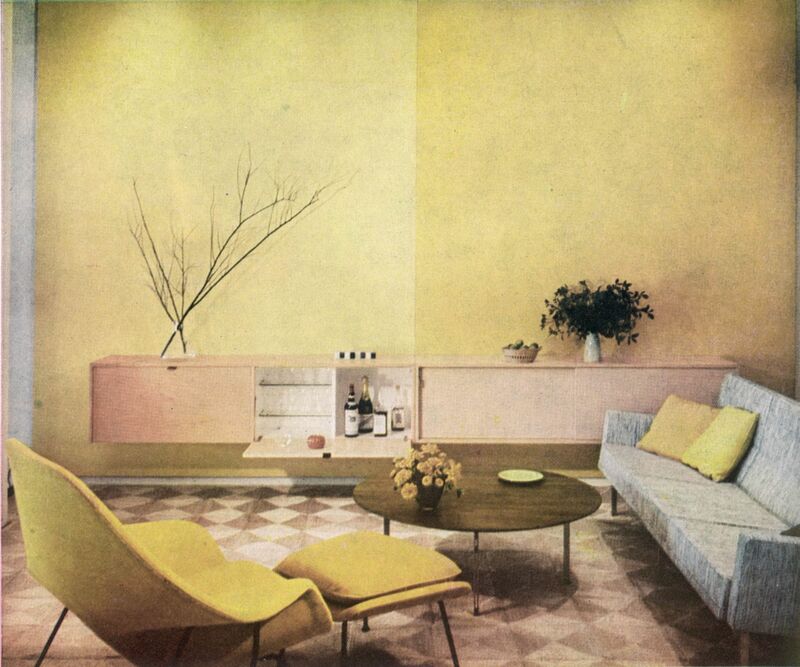 Gio Ponti designed the Villa Planchart, a private home built in Caracas, Venezuela, in 1956. It really feels like spring is just around the corner. Okay, maybe not so much for your East Coasters right now, but I can totally see where the road ends to this California winter. If I had to give this name a room, I’d call it Lemonade. There are those times that you really just have to let some things go, things like that little thingamabob you got at a Chinese restaurant in Portugal because it always reminds you of the time you decided to backpack to a deserted, cold beach town in the middle of winter with your girlfriends (who knew?!) or those really cool, interesting shaped liquor bottles from your college days (just let go! you know who you are). In the case of a Culver City client, it is a good decision to keep a set of vintage dining chairs that have been passed down, especially when they’re in sturdy shape because all they really need is some re-loving. My client wasn’t ready for a total rehaul since she and her family are planning to eventually move out of their rental, but she did want to spruce things up a bit because she was definitely tired of all the “brown”. We decided to brighten up the space by refinishing the chairs in a glossy white finish and reupholster them in vibrant pattern that felt modern and coastal. The chairs look just like new!